23/1/14:- Please view the document regarding the proposed upload & use of patients information March 2014. Please click the link caredata_trifold.pdf . After reading this, should you wish to sign a letter to stop the sharing of your information with third parties then please click the link caredata_opt-out_letter . A completed & signed opt out letter is required for each family member and this needs to be returned to us as soon as possible. Whatever a patient tells a doctor is treated confidentially. When can Young People see the Doctor or Nurse on their Own? All in the above about confidentiality applies to young people too. If you are 16 years of age or over you can give your permission to have any treatment and we will not involve your parent or guardian without your consent. This means that you can choose to be seen on your own by a doctor or a nurse. If you are under 16 years of age, ideally we would like you to involve your parent or guardian in any medical matter. However, if you do not want to involve your parent or guardian we are willing to treat you provided you understand what the treatment is about. The doctors and nurses are happy to talk to any young person of any age about contraceptive matters and they are able to prescribe treatment if appropriate. All of the doctors and staff in this surgery try at all times to provide the best care they can. Sometimes our best is not up to the standard that we would like and we hope that by working together any deficiencies will be remedied. If you are not happy with any aspect of the service we provide we will be pleased to discuss this with you through the practice suggestions and complaints system. 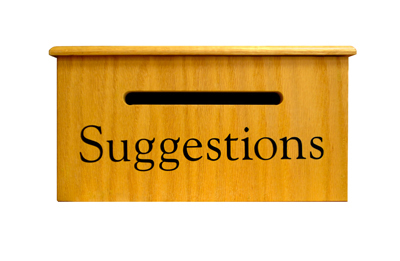 If you wish to suggest any improvements to the services we provide we will be keen to discuss them with you. To access the suggestion and complaints procedure please ask one of the receptionists for details or write to the Management Partner. If you are still unhappy after using the practice based complaints procedures. You may approach the Parliamentary and Health Service Ombudsman (see below) who will undertake an independent review of your complaint. Details are available in our complaints policy leaflet. The practice will not tolerate unacceptable behaviour from patients or visitors to the practice. If any member of the practice team, or any other person who is in the practice, is the subject of violent or abusive behaviour, or feels threatened for their safety, the practice reserves the right to take immediate action. Such action may include requesting the attendance of the police, and immediate removal from the practice’s list of patients. Good health involves patients, doctors, nurses and others working together. Our practice team will do everything we can to keep you healthy. We will treat you as an individual and make every effort to respect your privacy and personal beliefs. We will also try and ensure that whatever your condition you have easy access to the services we provide and that you fully understand what it is we are trying to do. By working together we will be able to agree on the best ways of keeping you as healthy as possible. We expect that you will normally be able to see the doctor of your choice within a week. Please remember that all the doctors have professional and personal commitments outside the practice. If you have an urgent medical problem and can get to the surgery, we will see you as soon as possible that day. Please contact the surgery to make the necessary arrangements. We are prepared to visit you at home if you are ill and if as a result of illness you cannot get to the surgery. You should contact the surgery before 10 am to be visited that day. 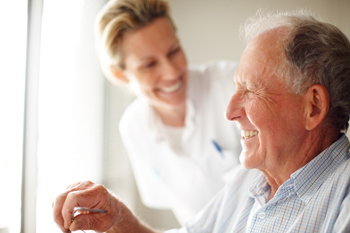 We will ensure you know the names of all the practice staff that you see. We will provide you with practice leaflets which explain surgery times, the services we offer and how to contact us in an emergency. We try to work as a team within the practice with each member having special skills and expertise and although you may be asked to attend a particular clinic or team member we will respect your choice not to accept this. 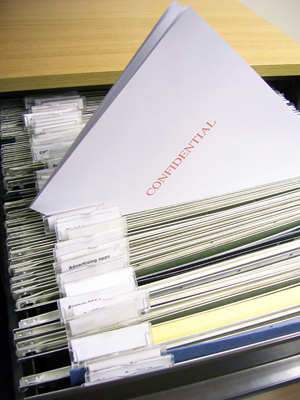 We have a practice code of confidentiality which can be obtained from reception. We will refer you for a specialist opinion if we believe you will benefit and, if necessary, will arrange a follow up discussion with you after you have seen the specialist. If you are concerned or have a query about any treatment you have received here please contact Mr S Donlan, our Management Partner. When you leave our practice we shall return your medical records to the NHS within 14 days of their request so that your new family doctor will have the information he/she requires as soon as possible. We guarantee that anybody in our team who treats or cares for you will be suitably qualified and attends regular updating programmes. Good health involves a partnership between you and the practice team. We would like you to agree to the following as your part of the deal in keeping yourself as healthy as possible and making the best use of our services. I recognise that my lifestyle and habits have a major effect on my health and it is up to me to make any changes that may be necessary to ensure good health. I will try to do all I can to help myself remain well but if I feel ill I shall contact you for advice. If you prescribe medicines, or other treatment, for me, I will take them as advised. I also accept that there are times when I may not need any medicines at all. I will contact the surgery before 10 am to ensure a visit that same day. I will only contact you or your deputy outside normal working hours if my medical problem is urgent and cannot wait until the next surgery. I will be at home when a visit has been arranged. If I am unable to keep an appointment, I will, whenever possible, give 24 hours notice. If I require an explanation of the treatment at the surgery or at the hospital I will make an appointment to discuss this with you. I shall let you know if I change my name, move house, or change my telephone number. If you do not have my medical record I shall tell you about past illnesses, hospital admissions, medication, and any allergies. I realise I may see any doctor although it is usually better to see the same doctor each time. As all the doctors are not full time, and that even the full time doctors have other medical commitments, I am aware that it may not be possible to see a particular doctor at short notice. I accept that this is a training practice for young doctors and for medical students and that I will be asked for my permission before being involved. I will inform the practice if I do not wish to participate. This practice is a training practice. Fully qualified doctors spend six to twelve months gaining experience and training in general practice. You may be offered an appointment with one of these doctors, known as Registrars, or one may be observing your doctor consulting. Sometimes you may be asked to have your consultation video taped. If you are unhappy with this please say so, it will not cause offence. 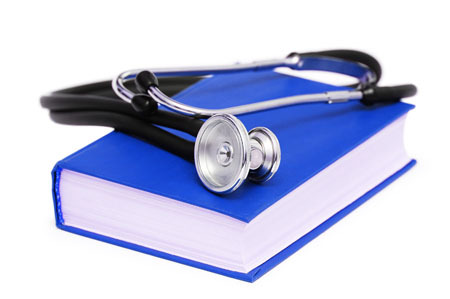 The practice also teaches student doctors and nurses. Some times one or more may observe your doctor or nurse consulting; you may also be approached to help us with our teaching. If you are unhappy with this please say so, it will not cause offence. Ensures that it is effectively led and managed and its staff receive relevant education, training and development.